Over the past eight years Cindy Ferrige has educated herself, through meditation, courses and life experience, and now has a proven ability to guide clients to live a more fulfilling life. She is known inside and outside her practice for the way she makes others feel safe to show up exactly as they are, to feel heard without judgment. 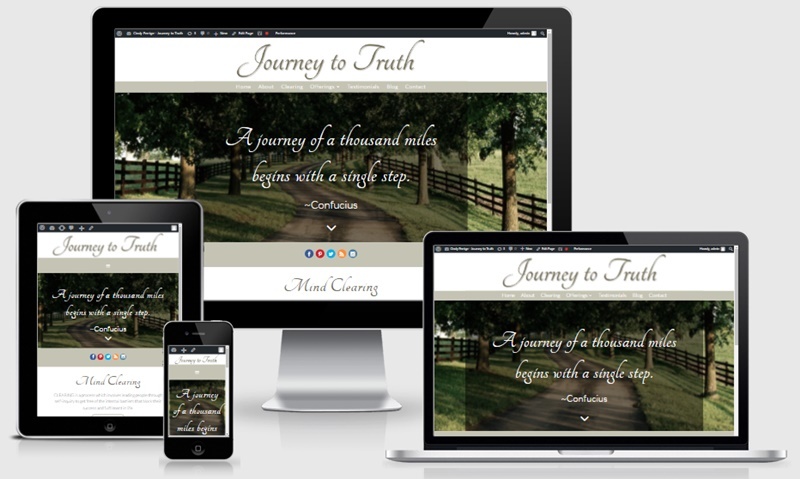 It was time to grow her business, and one part of that was the creation of a website. In addition to attracting new clients, she also wanted to streamline scheduling by putting it online, complete with online payment processing. I recently had the pleasure of working with Ready? Aim. Succeed! to develop my website. As a first timer to this, I really didn’t know what to expect. The service was beyond my expectation. Michele worked closely with me on each detail, at no point did I feel like I was asking too much. I am so excited with the finished product and have already started recommending her to others.